Kuala Lumpur, June 2014 – Almost an autobiography, HAI KI XIN LOR (You Mean The World To Me) is the illuminating story of Sunny, a filmmaker who, haunted by a childhood incident, makes a film about his family without their knowledge. Written, produced and directed by Saw Teong Hin, this original Penang Hokkien play will be the closing event for George Town Festival 2014. Spanning two generations of a Penang family, HAI KI XIN LOR presented in the lilting Penang Hokkien patois, is a unique production that features an ambitious staging inspired by the Hungry Ghost festival stages with an innovative story-telling approach to an illuminating story of family, love and forgiveness. With English and Mandarin surtitles, HAI KI XIN LOR will be staged from 28th at the atmospheric century old clan building complex, the Leong San Tong Khoo Kongsi. Family ties bind and may even suffocate, but it inevitably defines who we are. HAI KI XIN LOR promises a very local, authentic experience that will resonate with one and all. 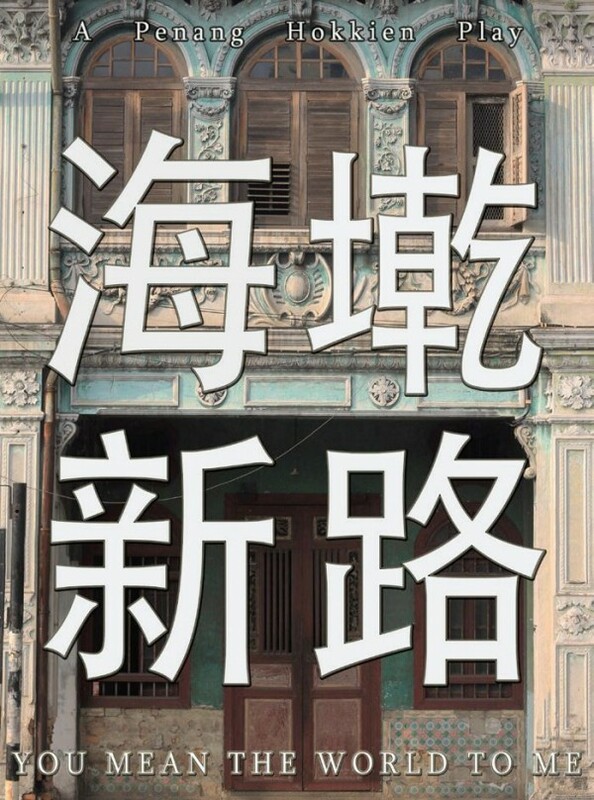 “In Penang and in Hokkien, I must say that HAI KI XIN LOR is my most challenging work to date. At the end of the day all roads lead home!” states Saw Teong Hin, who himself was born and raised in Penang. Singapore, HAI KI XIN LOR features popular actors Neo Swee Lin, Chelsia Ng and Frederick Lee. With a career of more than twenty years, producer-director, Saw Teong Hin’s film directorial debut was the multiple award-winning feature “Puteri Gunung Ledang” PGL was the first Malaysian film to be selected for the Venice Film Festival and was long-listed for the Academy Awards. Teong Hin was awarded the Boh Cameronian Award for Best Writing for his work on the subsequent “Puteri Gunung Ledang – The Musical.” His last stage outing was the well-received “Chow Kit Road! Chow Kit Road!” a musical tribute to Sudirman at Istana Budaya. Jason has always been an active element in the stage drama industry ever since he joined Chung Ling High School’s Drama Society in 1989. In 2000, Jason founded the Noise Performance House, where he produced works such as “Dawn” for the Penang-YTL Arts Festival 2003. In 2004, Jason directed the drama theatre “Paradise” in conjunction with Penang-YTL Arts Festival while he worked as the Assistant Director for “Carmen” (2004), which was produced by the Penang Art Council. In 2007, “Brothers. Beloved” brought Noise to a higher level of recognition through recognitions in the 6th ADA Drama Awards.